Glucerna is gluten-free and formulated especially for weight-watchers, diabetics, and those in need of a Glycemic Control Drink. Different formulas available for specified caloric needs, and can be a meal or a snack, or chose enteral feeding. 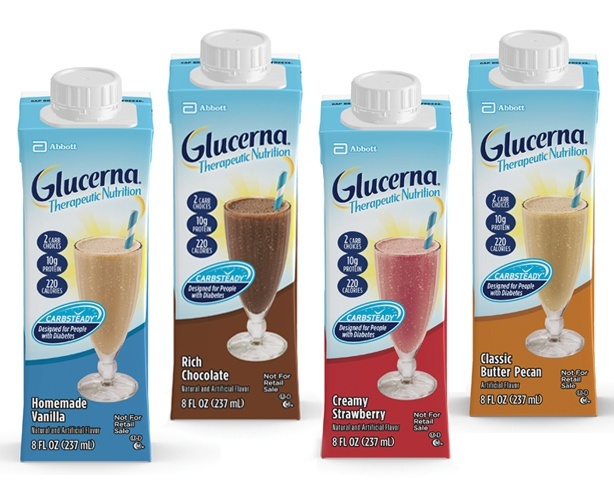 Our Glucerna Shake is available in a variety of flavors, chocolate, vanilla, butter pecan, and strawberry. Need help? Call us at 1-877-929-4633. We are happy to help!